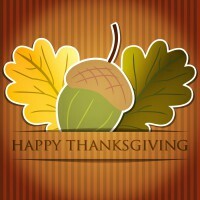 Happy Thanksgiving from Standley Feed & Seed! All of our locations will be closed for Thanksgiving, November 22, 2018. We will reopen Friday, November 23rd and will be stocked with live Christmas Trees at our Madisonville location! We hope you have a great day with your family. Come see us Friday, November 23rd for a new Christmas tree. Follow us on Facebook to keep up with our Specials and for great gift ideas. This year, we are thankful for our wonderful customers. Thank you for making Standley Feed & Seed your shopping destination for feed, pets, hunting products, gifts and much more. This entry was posted on Thursday, October 25th, 2018 at 5:45 pm	and is filed under Events. You can follow any responses to this entry through the RSS 2.0 feed. Both comments and pings are currently closed.